Tech touches everything these days, even the most primitive of instruments. If you have a bird problem, forget the old fashioned scarecrow—you can get its modern successor, a bird-repelling drone. The ProHawk UAV from pest control company Bird-X is a massive update to the old school method of shooing birds from places where they aren’t wanted. With a carbon fiber frame designed to resemble a bird of prey with wings extended, the ProHawk has a look that should keep smaller birds from congregating. It does more than just look intimidating; the ProHawk is equipped with a sonic bird repeller. According to Bird-X President Dennis Tilles, the speaker “emits predator calls as well as birds in distress.” Those noises are enough to sends birds flying elsewhere. While it can be controlled manually, one of the appeals of the unmanned craft is the ability to set an autonomous flight pattern. GPS enables the ProHawk to patrol an area on its own, traveling from waypoint to waypoint, and the self-flying mode launches and lands the plane without need for assistance. Tilles told the Daily Dot that, in accordance with FAA suggestions, the ProHawk be used only for a one-mile radius. For private land, he said a 10 square mile area can be covered by the drone, which moves at up to 30 miles per hour. It’s worth noting that the drone can remain airborne for just 15 to 20 minutes before it requires an additional charge. That might be enough to scare off a murder of crows immediately, but if you want to keep the area clear of birds on a regular basis, you’ll have to keep an eye on the battery life. A wireless charging station would likely simplify the upkeep portion of maintenance for the autonomous drone. The ProHawk doesn’t come cheap—Tilles said the device is priced at around $5,000. There are also options to add a camera to the device for those who want to see what the drone sees while it’s flying on its own. 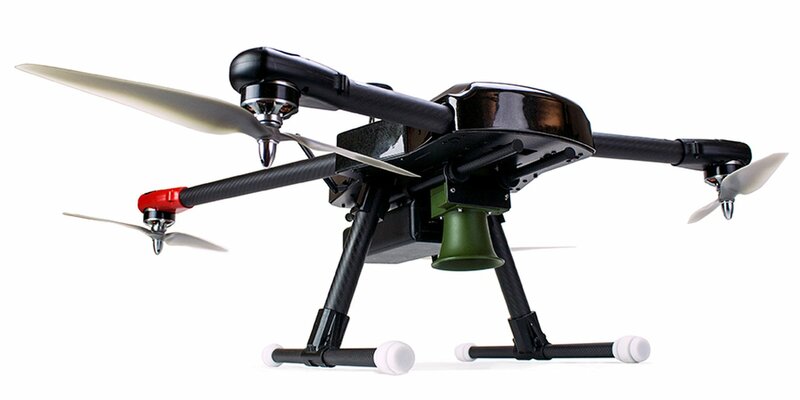 If you’re in the market for such a device, though, Bird-X has some history to back its drone. The company has been making similar products for some time now. The ProHawk is the spiritual successor to the company’s BirdXPeller. A remote-controlled aircraft launched in 2011, the BirdXPeller blasted noise that would make birds scatter.